We have been speaking for some time about the differences between inbound and outbound marketing, why they are both important and how beauty businesses can incorporate a number of both inbound and outbound functions to create a comprehensive and manageable marketing plan. The shift for some years have been away from outbound [print, TV, radio], or push marketing and the growth has been in inbound marketing strategies [social media and web searches]. These inbound strategies are defined by customers taking action to seek out your brand. Problem. The online world is a virtual one while the physical world remains firmly planted in real life, just like your business; linked to a specific location. Our challenge has been how best to connect the real and the virtual without wasting time, effort and budget. One easy solution is a QR code. 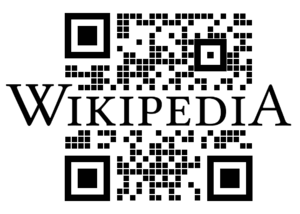 A Quick Response (QR) is a two-dimensional bar code which presents as a series of squares within squares. Originally designed in 1994 to track car parts at Toyota, this inexpensive device leads consumers from the physical to the virtual with just one click. This is a great piece of technology for delivering information quickly and easily to a local audience. But how big is that audience? According to SMH in Australia we are lagging in terms of optimising these opportunities. 80% of Australian websites are not optimised for smartphones. Although Danny Widjaja CEO of Onlinesoft says most businesses can have a mobile-optimised site for less than $1000. Australians are increasingly buying stuff via their mobiles with almost a quarter of us having done so … but about four out of five Australian websites are not optimised for smartphones. And as at May 2012 Google research indicates half our population use a smart phone. No argument – that’s an audience. How does a consumer use it? First, take that smartphone – either an apple or android. Download the app – For mobile phone users, iPhones offer a downloadable app from the iTunes store. BlackBerry, Android and other mobile phone platform users can download an app. The smart phone app uses the in-built camera to detect the code which leads to an online space which you determine. How do businesses get a QR? If you intending to do a “one-off” campaign, like a competition or survey, you will only share one piece of information or message with your audience – then you require a static QR Code. If you are looking to share different content at different times during the week or month, like promotional offers or newsletter then you need a dynamic QR Code. And any printed materials can support a QR code. From your brochures [and yes – you can get a self inking stamp to update all your brochures*] to the floor mat. And there are a number of free QR code-generating sites are Qurify, Kaywa, Scanbuy, QR Stuff and Delivr. And you can create them in your own colours and incorporate a logo. Imagine offering a video about your latest skincare product as a code right on the shelf or a satisfaction survey before your customer leaves from a small acrylic stand on the reception desk. Too easy! What content do you share with your audience? It’s entirely up to you. That destination could be your official website, Facebook page or any other virtual space –video, newsletter, e-book or promotional voucher. Whatever you feel will drive home the unique qualities of your business to that audience.